A Charming Pair of Mugs from the "Wisdom for the Soul" Collection, a rangethat reminds us that God is all-knowing and the source of all wisdom. Here,bands of fresh color lattice border the gleaming white bodies with cutesymbolic owls on the front and Scripture on the back. Verse is also foundalong the lip on the inside of the mugs. The pair share Biblical topic withScripture from both Proverbs 24:14 and Ecclesiastes 2:26 on each. Gift-Boxedfor giving. Perfect for teacher gifts! The mugs are also available to purchaseseparately. 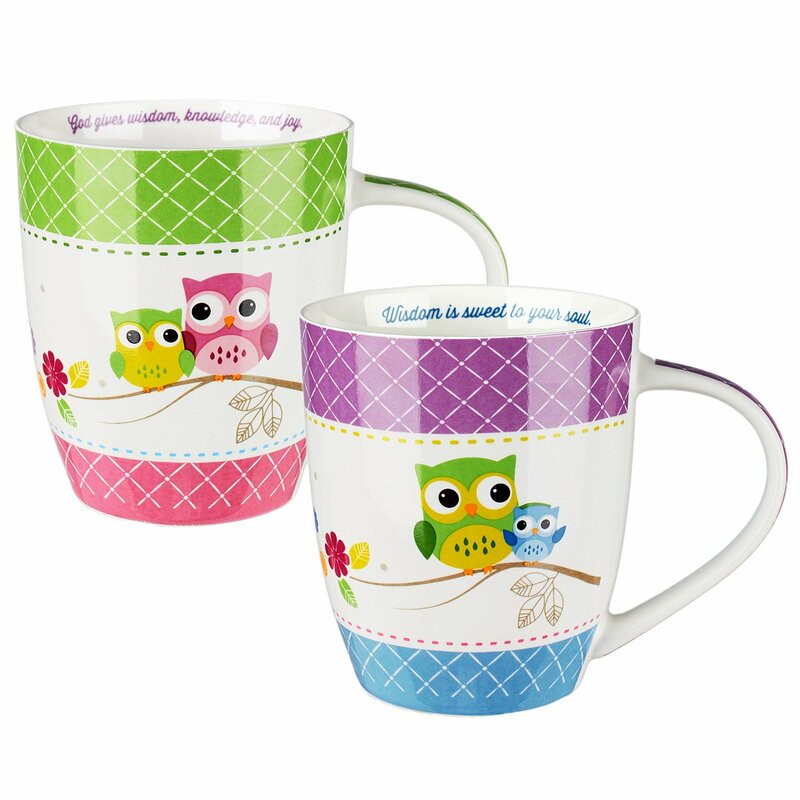 Find more "Wisdom for the Soul" Collection items in Kitchen & Homeand Stationery.